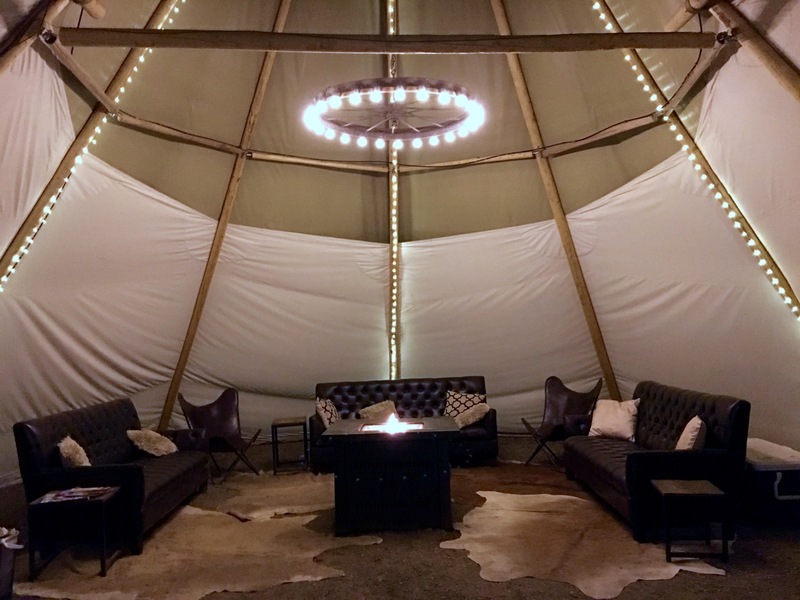 Glamping. What is it? 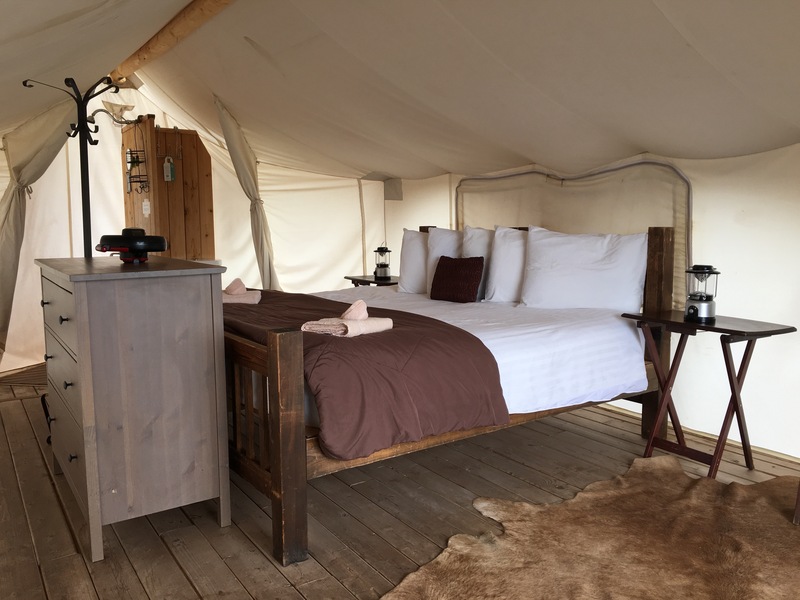 Glamping is short for “glamorous camping.” It takes the splendor and isolation of camping and combines it with hotel-like creature comforts like real beds, furniture, and modern plumbing. 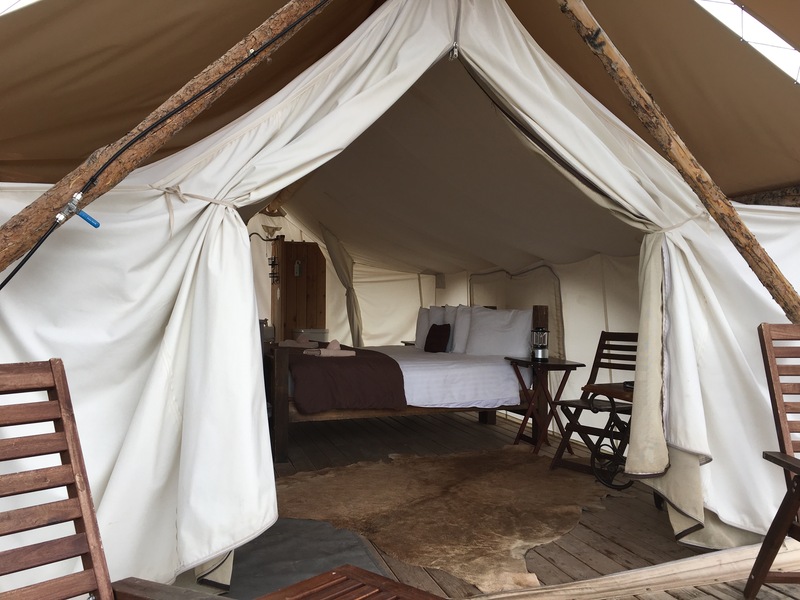 I don’t recall where I first heard about glamping, but it has been on my To Do list since I learned that it exists. 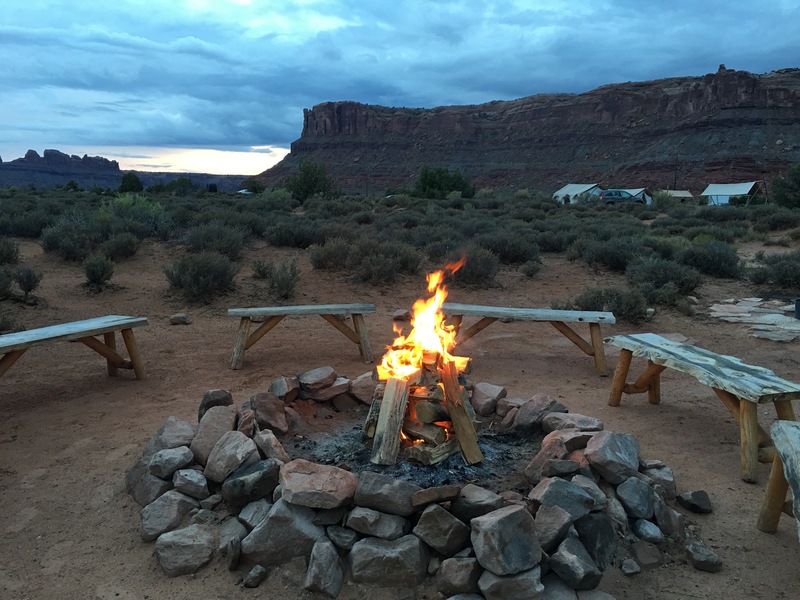 For our glamping experience we spent the 7th night of the 3,000 mile road trip at Moab Under Canvas. (Stay tuned for a post on the road trip next week). 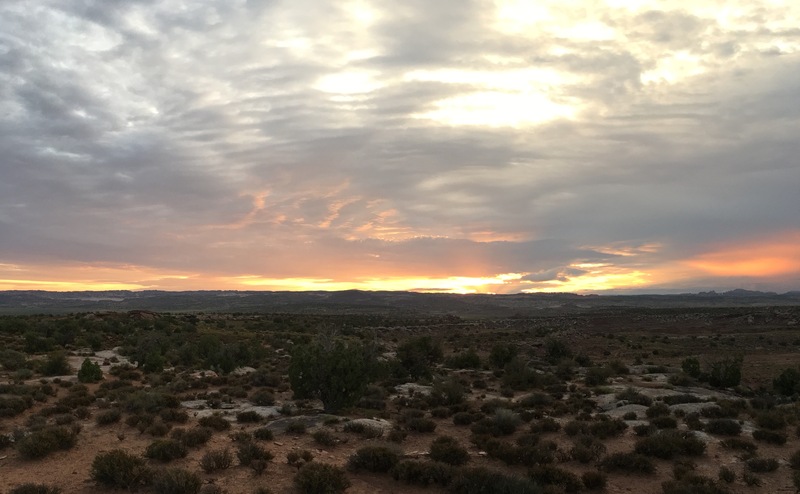 Moab Under Canvas is located just minutes from Arches National Park, Canyonlands National Park, and Dead Horse State Park. The glamp grounds are separated from everything else around so all you see are tents and nature (and tiny fluffy desert bunnies). When we got there we were immediately taken by the mellow vibe of the grounds and the people who worked there. It was clear our stay was going to be special. The furniture was simple, but classic and cozy. There was no power in the tent so it came with 3 lanterns, which I largely used to not bump into things as I wandered the grounds at night. 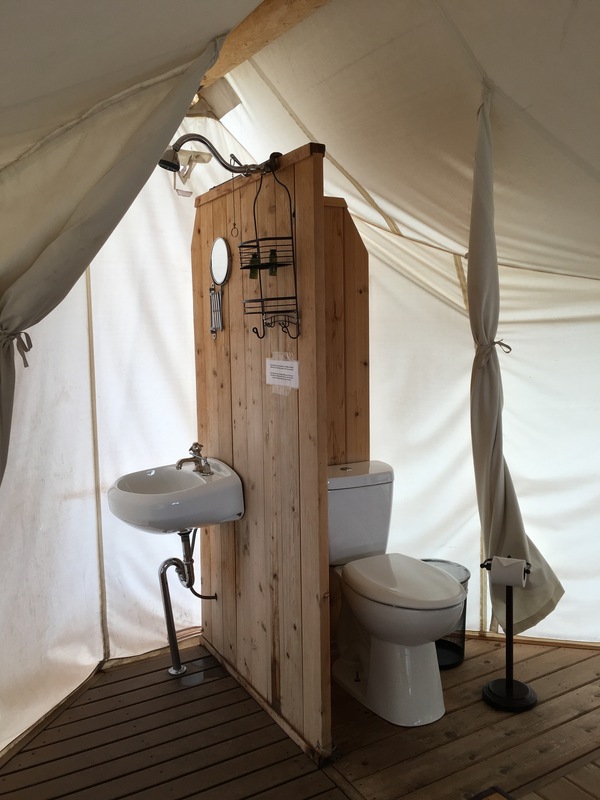 The best part of the deluxe tent was my own private bathroom. It felt a little weird to bathe by lantern light behind a sheet of canvas, mainly because I am pretty sure the lanterns cast shadows on the tent for passersby to see. But, the water was piping hot and that is really the only thing I cared about. The view from the tent was breathtaking. 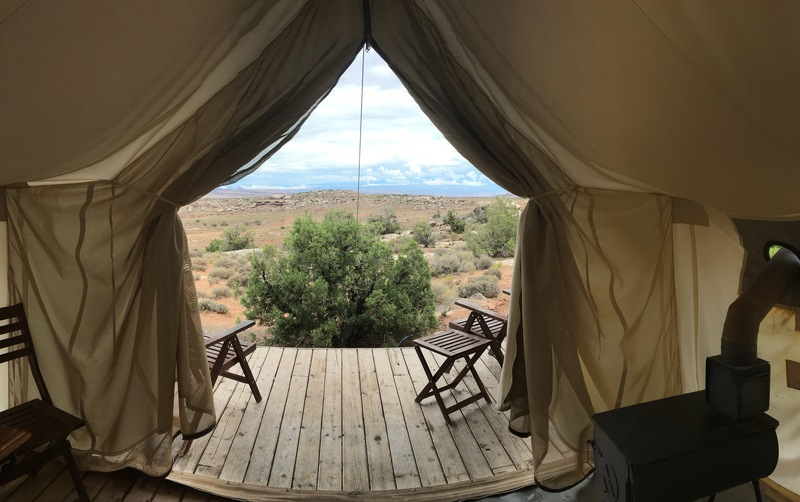 The front of the tent overlooked the desert and Arches National Park in the distance. The shaded porch provided the perfect spot to kick up my feet and just enjoy my surroundings. This was particularly nice because, unlike the East Coast, there are basically no bugs to bother you in the desert so you don’t have to worry about mosquitos or other insects flying in your face while to try to relax. 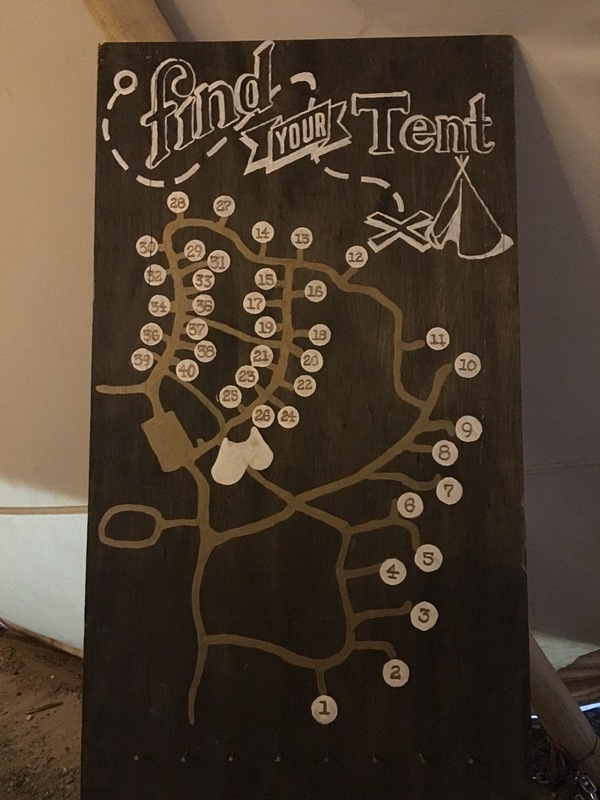 At night, Under Canvas hosted a bonfire complete with s’mores. Yum! As the sun set, the landscape and night sky were transformed. Somehow, almost impossibly, becoming more beautiful than before. Under Canvas also had two common areas. One (pictured below) in which you could relax in front of a fire or play board games and another where you could charge your devices or connect to their ethernet. Finally, it was time to retire via lantern light. I really think their bed was the most comfortable one I’ve ever slept in. At first, I had a little trouble falling asleep. Every time I heard a noise I wondered if someone was walking toward my tent. However, within a few minutes I was fast asleep. I got up at 6:00 the next morning just in time to watch the sun rise from my front porch. I think this may have been the first time I have ever just sat and watched this occur. The sun delivered. I was able to order breakfast through Under Canvas which was both delicious and extremely convenient. 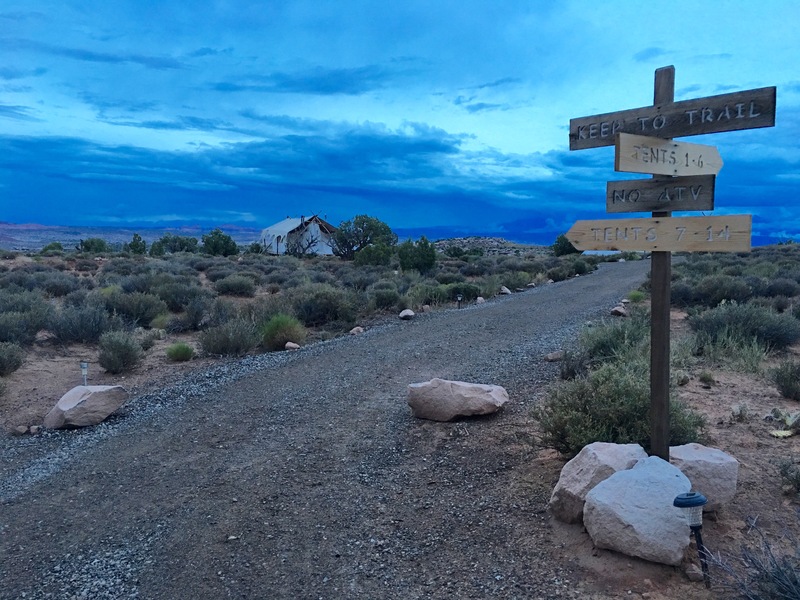 It saved us an extra stop before our morning hike in Arches National Park. 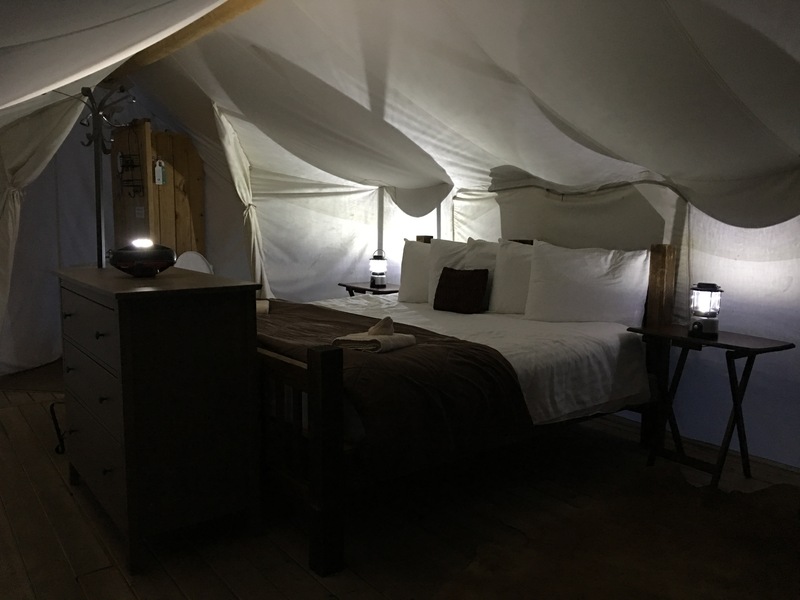 There are two other Under Canvas locations in Glacier National Park and Yellowstone National Park. If you can make it to one of the locations, don’t hesitate, just do it. But a warning, they sell out quickly, so plan early. Special shout out to Sam, our hostess with the mostess, for making our visit extra fun. While the experience itself was truly unique, this was one of those occasions where the people who worked there set the mood for our entire stay. Watching sunrises is highly underrated.